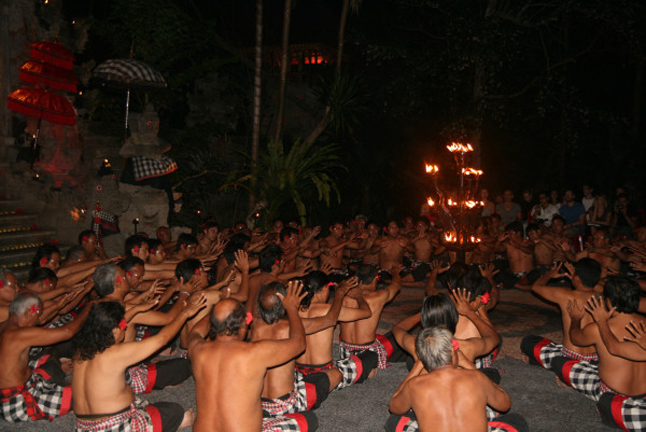 The Kecak Council is an experiment in cultural communication, citizen governance, village energetic medicine. Of all the things I have done in my life, no greater experiment have I found illustrates the journey into the human soul and playful spirit, than the Balinese Monkey Chant or the Kecak. 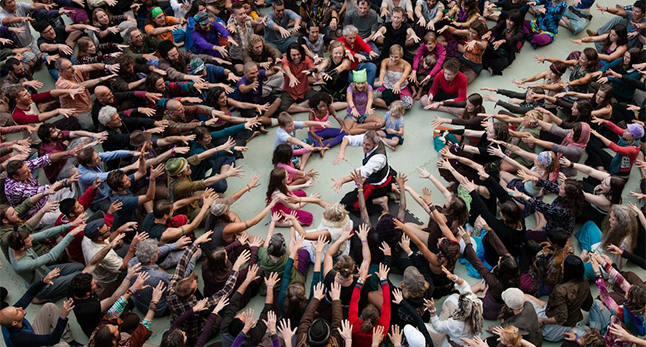 Having had the opportunity to bring this ancient technology through the many threads of stage and festival and street action, I have found that community agreement finds no more a simple, elegant and powerfully transformative tool. The Kecak sets simple and clear agreements that operate like a game. Before you know it you are in a living functioning village, complete with roles and techniques that can be mastered individually, and more importantly with your neighbor. Across from you, in the village circle we create, there appears a whole different culture of rhythm, facing you and challenging you with smiles and sound. The tribal feeling that arises in community, the support of the group that encourages you while you are challenged to assert yourself together with others, is a beautiful contradiction, raising a profound collective energy field. Before long the group is a functioning organism, and you are part of it. how do we begin to feel the power of our communal vision, our comprehensive strategies, our harmonic attention and our emerging intentions? We have great gifts to offer the world, and there is no way more powerful to bring them to presence, than when we are collectively brought to the same state of preparedness, practicing looking together at the same thing. I offer this gift as it was offered to me, as a tool from the primordial mind of humanity for the collective good of the community. Please Join Me for the Experience.